Click On Underlined Profile/Report Name To See Sample Reports. On the right side are the credits you need to generate that report/profile. 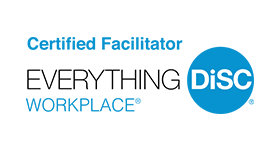 Everything DiSC® Workplace™ Profile (English) 20 page report to identify your DiSC® style, understand other styles, build more effective relationships. Includes personalized style index. Bonus: DiSC Comparison & Relationship Profile. Compares the results from two Everything DiSC Workplace, Management, or Sales Profiles. Unlimited comparisons between people who have completed any of these Everything DiSC profiles purchased from Center for Internal Change, Inc.. or any of its web sites. Everything DiSC® Facilitator’s Report (English) Report can be generated using individual results from any Everything DiSC profile (workplace, management, sales, leadership). DiSC® Classic 2.0 (English or Spanish) 23 pages. View full 59 page version report. DiSC® Classic Group Culture Report (English) 13 page report. To determine your cost per report multiply the number of credits needed by the cost per credit. If you want to order a profile access code and don’t want an EPIC Account visit Center for Internal Change’s Inscape Publishing and DiSC® Profile Online Store. See our Starter Bundles for new clients. If you just want to order an access code and don’t want an EPIC account Click Here for Inscape Publishing Profiles Online. Contact us with any questions. Phone: (847) 259-0005. For orders of 4,999 or over contact us for a quote.